Hello! 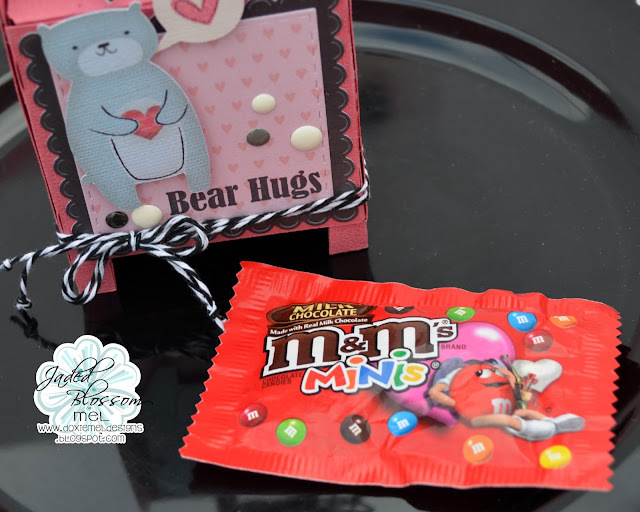 Mel here from Doxie Mel Designs with a new treat box. I used a mailbox file from Cricut and cut the project on my Cricut Explore. The bear is a print and cut from Cricut's "Better Together". 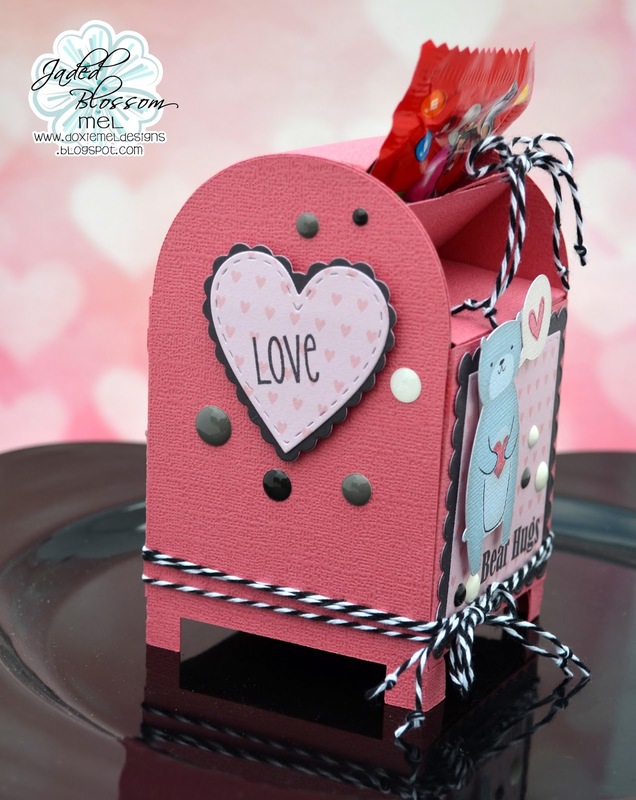 The sides and front are decorated with Jaded Blossom stamps and dies. 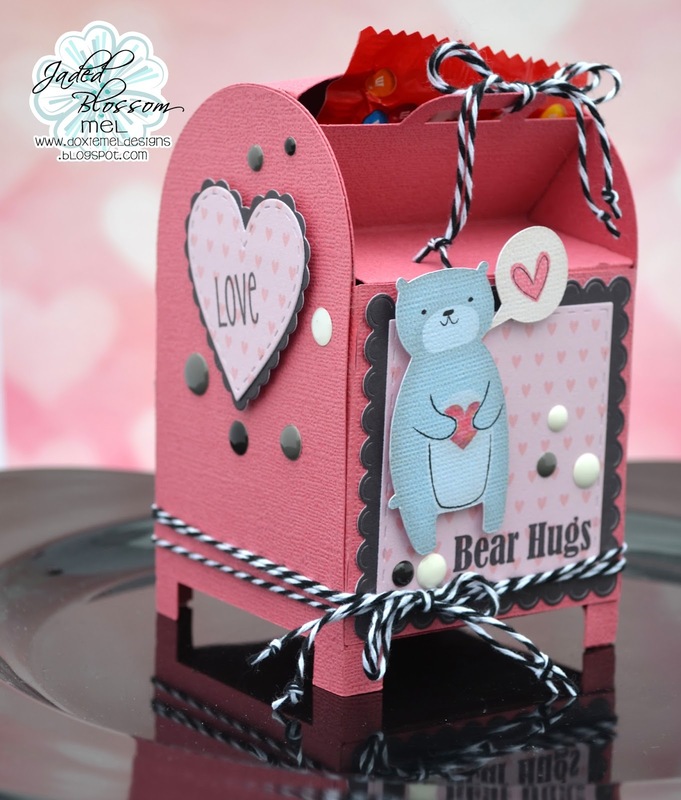 Behind the bear is a mat created with Scalloped and Stitched Square Dies. The hearts on the side are die cut with Valentine Dies. The mailbox is sized to fit the fun size M and M packs. Here is a closer look at the side of the mailbox. Next, is the candy inside. The box works similar to a real mail box, except it won't be a Federal crime to take a package from this mailbox. Your mailbox is right up town, love it!